Is Downton Abbey on Netflix? With three Golden Globes, 49 other prizes, and 188 other nominations, Downton Abbey is currently one of the most popular British shows in the world. With a stunning cast, awe-inspiring visuals, and brilliant writing, the drama ran for a total of six seasons. It is also joined by three television specials, including the series finale. But what is the Downton Abbey Netflix status in the US and worldwide? Downton Abbey has an absolutely stellar cast, featuring world-famous British stars such as Hugh Bonneville, Laura Carmichael, Elizabeth McGovern, Maggie Smith, Rob James-Collier, and many others. The show is one of the best dramas on the small screen for a long time to come. The show focuses on chronicling the lives of the old noble British Crowley family and their servants as they go about their aristocratic lives in the early 20th century. While the premise might sound dull at first, the flawless directing, writing, and acting make for one of the most entertaining shows these past years. Yes, Downton Abbey is streaming on Netflix Canada, Australia, Spain, and Italy. Unfortunately, none of the seasons of Downton Abbey are streaming on Netflix US at the moment. Something strange happened to the show in 2013 which ended up removed from the Netflix streaming roster. 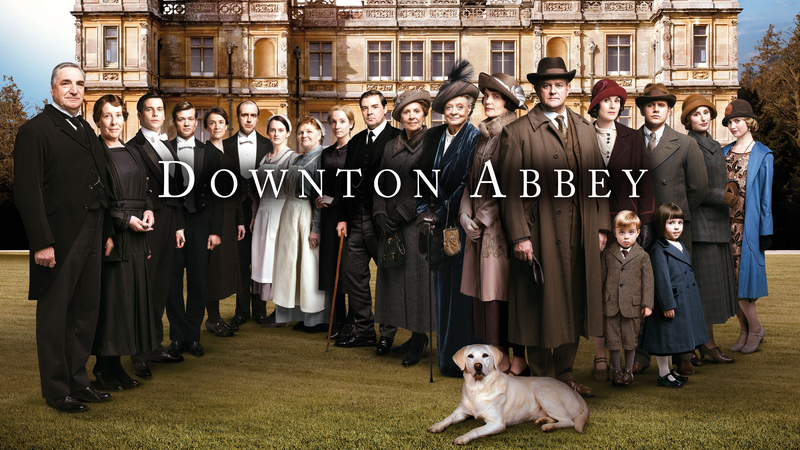 The UK-produced show had its States-side rights owned by PBS, which got into a dispute with the streaming service and that was the end of Downton Abbey on Netflix. However, both parties eventually ended up realizing that putting aside their differences could only lead to a mutually profitable deal. Hence, the show was soon made available once again on the website – but only partially and temporary. More specifically, seasons 1, 2, 3, and 4 of Downton Abbey were available on Netflix in 2015-2016. Season 5, the final two episodes, and the finale should have streamed on Netflix a few months after their release by PBS – but they never did. You can find more info on the fifth season’s availability from our guide to the Downton Abbey Season 5 Netflix page. Why Is Downton Abbey Not on Netflix US Anymore? The reason behind why the Downton Abbey Netflix is not yet available, albeit it’s most likely the same reason behind many other show seasons missing from the streaming website. Many seasons of shows which are still airing are most often missing from Netflix because of a legal issue. Usually, a new season appears on Netflix for the first time after it stops airing on TV. For most shows, this date often coincides with the release date of the current season. However, seeing as PBS released the final season of the show in 2015 and the availability issue continues, the Downton Abbey Netflix page might take a while before completion, not to mention the Amazon deal we talked about earlier. Unfortunately, you will not be able to stream Downton Abbey on Netflix anytime soon. The exclusive deal between PBS and Amazon makes the show available only on their Prime Instant Video streaming service. Nevertheless, you can still get all of the 6 seasons of Downton Abbey in DVD and Blu-ray with a Netflix DVD subscription. I started watching Downton in Scotland two weeks ago and when I arrived in US soil last week it continued to stream. However yesterday it stopped. How is that possible? And why? This most likely has to do with the TV show’s availability throughout the world. Even though available in Scotland, the show is not available in the US. You were able to stream the show for a few days after coming to the US because of a latency in their location detection service. Nevertheless, I assume your location was updated in the meantime, hence the show became unavailable. You can read more about the ins & outs of the streaming service on the Netflix official website. To instantly update your location when returning to Scotland so you can have the content available immediately, you can also go through this quick Netflix location troubleshooter.